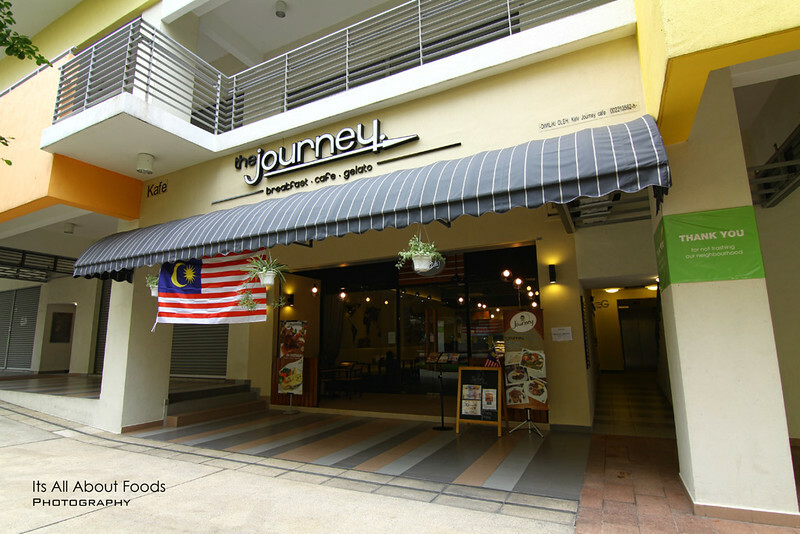 SetiaWalk, a place in Puchong which is now mushrooming with bars and restaurants, has quietly raised a potential cafe- The Journey. 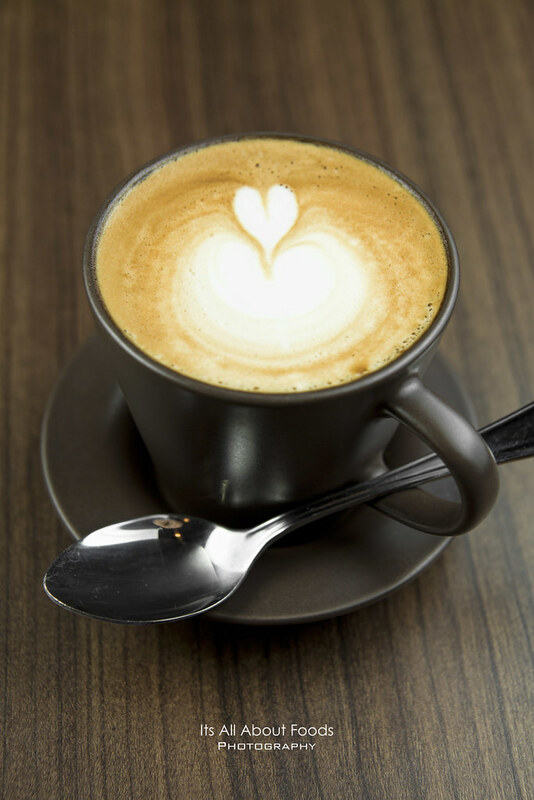 Located at the other end with less foot traffic, the cafe is slightly lose for its less dominant location, but the ambience, service, and food will surely put their business at brisk in near future. 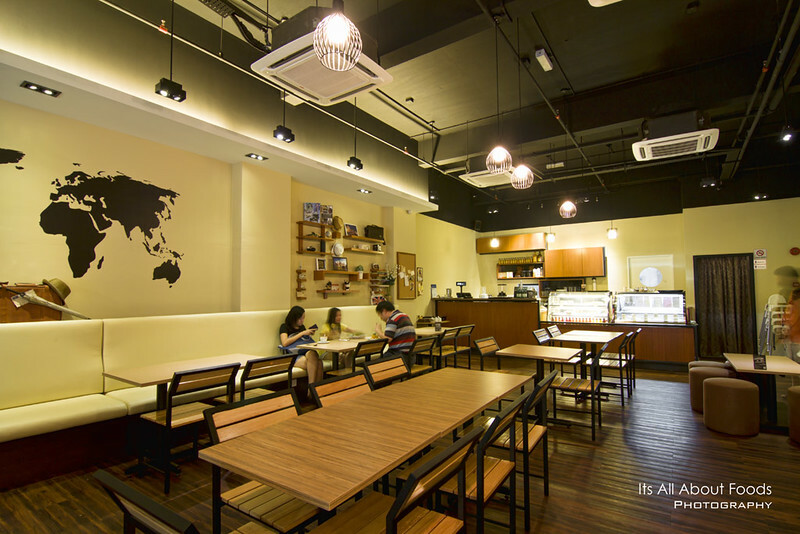 Opened in June 2013, this cafe is run by Kevin Tan, an engineering background young man who had travelled to various countries in Europe. All the places he had walked through brought him lots of memories, and he decided to bring back all he had seen, done, eaten by setting up a cafe, hence the name- The Journey. The whole cafe is based on the concept of European restaurants, from the decorations, music to food. We made a visit there last Saturday. Stepping into the cafe, what we made us first fell in love was the tranquility, very relaxing. The entire cafe was cozy, homey with wooden furnitures and soft coloured decorations as main theme. 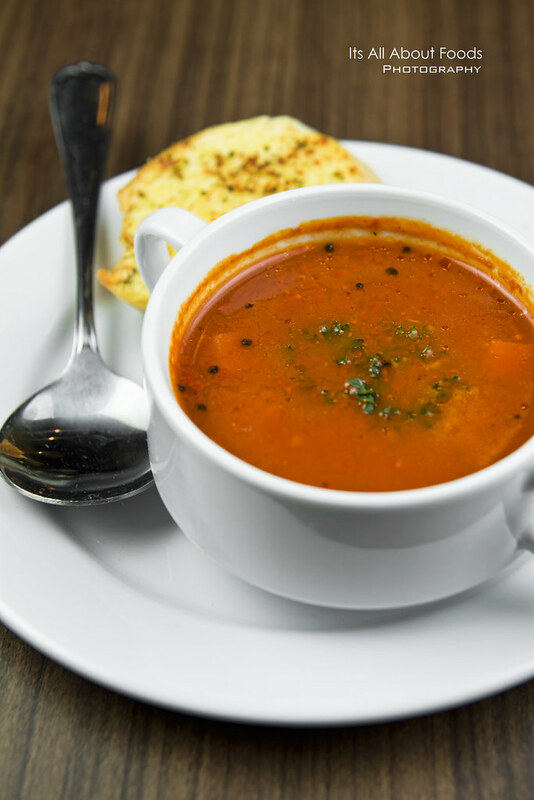 Came in bright orange colour, the minestrone soup was medium thick with a right balance of sourness. Loaded with cubed vegetables for extra bites. Served along with garlic bread. 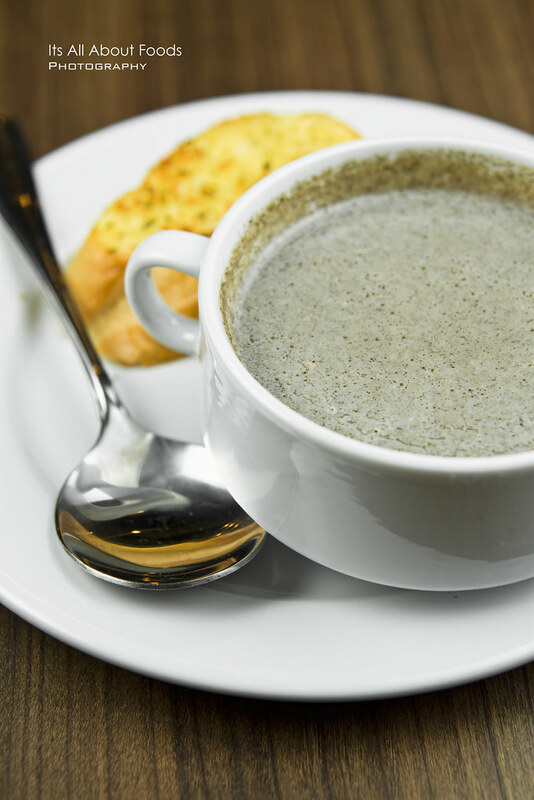 Made with fresh mushroom and cream, mushroom soup in The Journey Cafe was definitely worth recommended. Packed with bites of mushroom, the soup was creamy, yet tummy warming. The plus point: the chef cooked the soup bowl by bowl, and not scooping them from pre-ready pot as most restaurants. So it was worth taking a longer waiting time for a bowl of fresh, pipping hot soup! 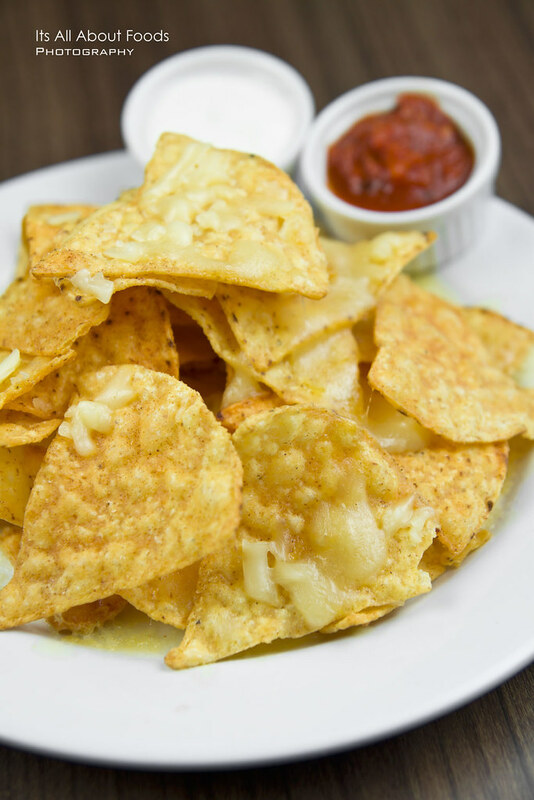 While original nachos might be too plain to be munched alone, the chef planned top them over with Mozarella cheese, and oven baked to get a cheezy, creamy topping that pairs heavenly with the nachos. Sided with homemade salsa sauce and cream which had a combination of sour cream and yougurt. 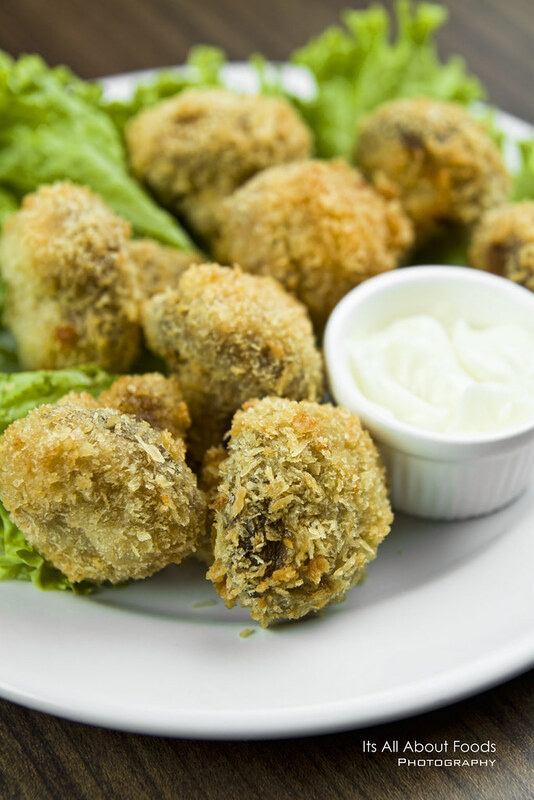 Addictive to be eaten without dipping, but pairing with sauces add extra tangy sensation to the overall flavour. 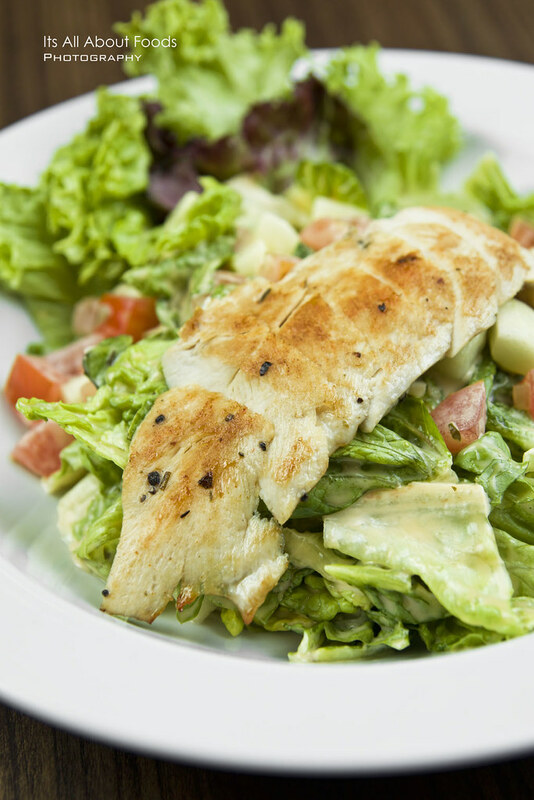 Moving on to salad, we first had the grilled chicken salad, where huge slab of grilled chicken sat on a bed of fresh lettuce, cubed tomato, cucumber lightly tossed with Thousand Island dressing. 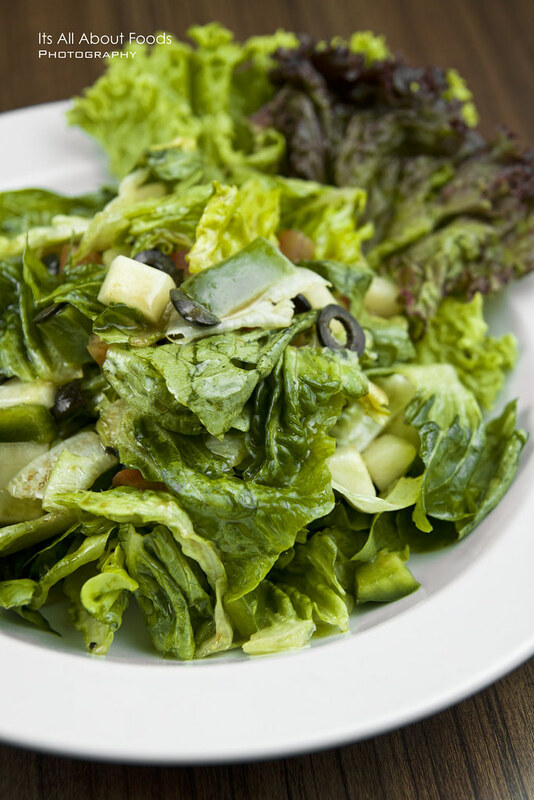 Greek salad was vegetarian friendly, with fresh lettuce, tomato, olive and cucumber mixed with honey mustard dressing. 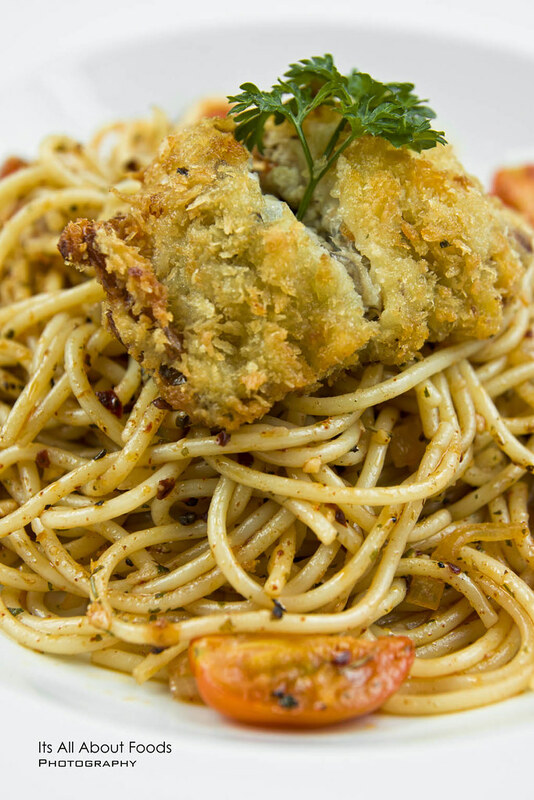 Great for a light meal. Our visit to The Journey was after lunch, and we were glad to find out that the restaurant served all day breakfast, and choices were extensive. This had made big breakfast lovers like us jump with joy. 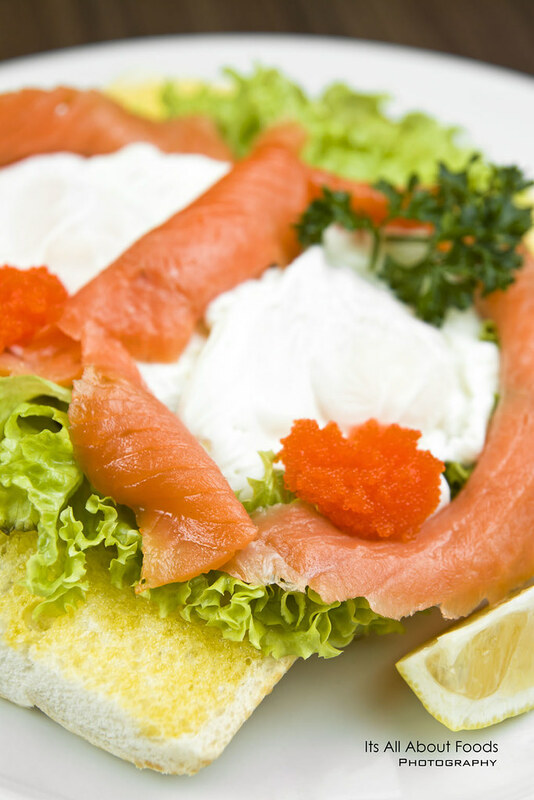 Scandivanian’s delight caught our attention with the vibrant coloured smoked salmon with Egg Benedict sitting on it. Gave a light poke to the egg, we had the yellowish, creamy, runny egg yolk oozing out– too tempting to resist. European Continental’ was served in hearty portion- Laugenbroetchen roll, two-eggs-your-ways, beef bacons, chicken sausages, baked beans and sauteed mushrooms. Choose how you want your egg to be prepared- sunny side up, omelette, scrambled, etc. 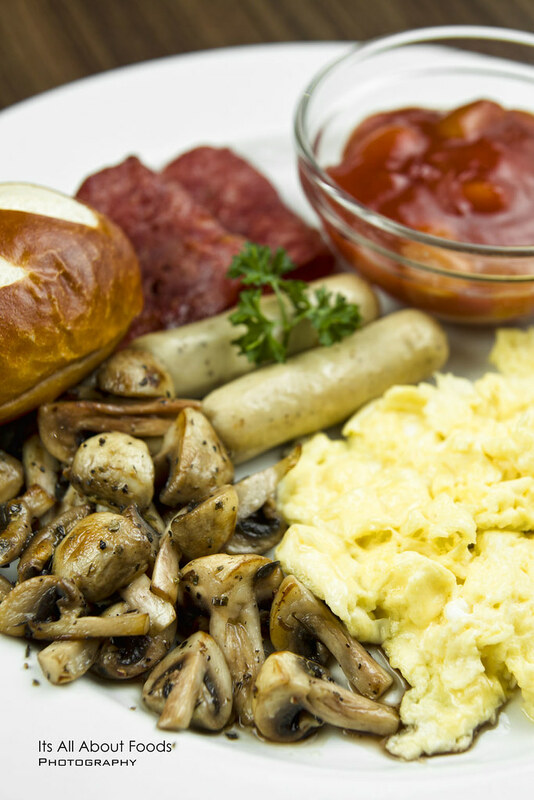 Another choice from All Day Breakfast Menu that is worth highlighted. The salmon omelette smelt so nice, and tasted good too- fluffy, soft, lightly added with savouriness from chopped smoked salmon. 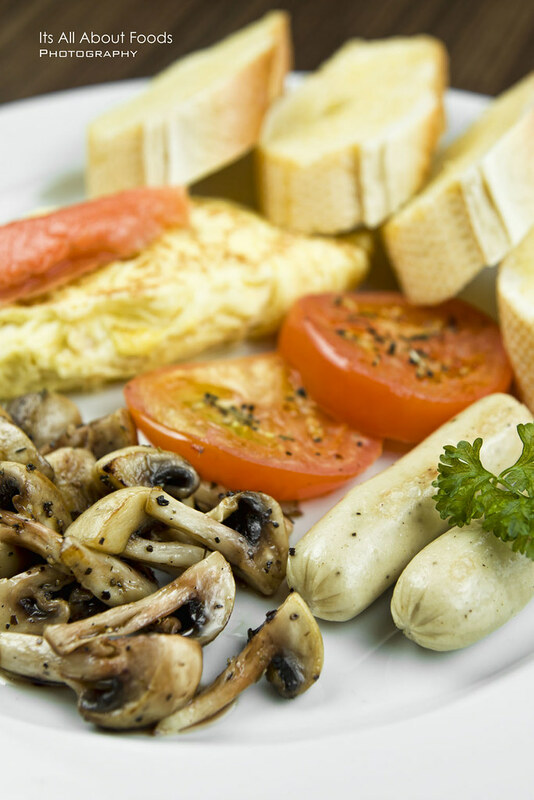 Together with the plate of breakfast there was toasted baguette, chicken sausages, grilled tomatoes and sauteed mushroom. We were actually quite surprise to find such an extensive menu in this small little cafe. Flipping through the menu we realized that there was more than 10 types of pasta to choose from, and we got ourselves three to try out. The deep fried softshell crab was not doubt crispy and flavourful, but was rather firm in texture to us. Pasta was al-dente, with slight spiciness of chilli butter sauce infused within. 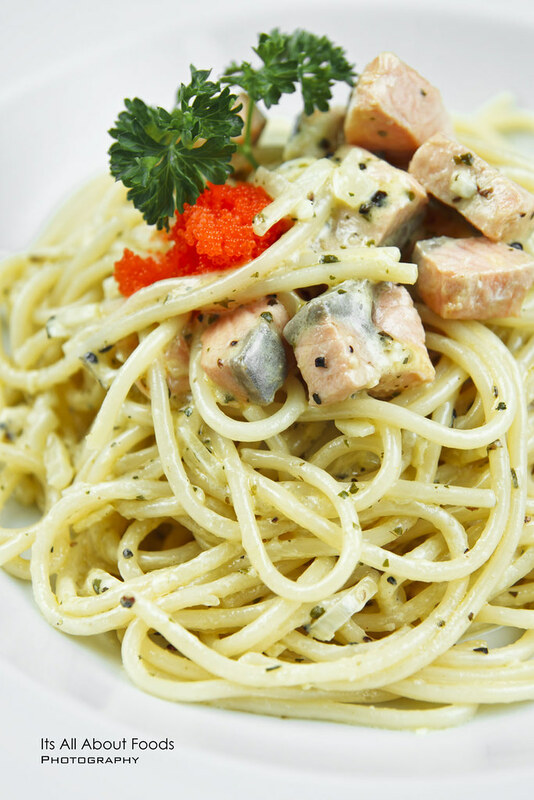 We did like the salmon spaghetti which had a white cream base. Every strand of the spaghetti was nicely coated with the home made lemony cream sauce, just the right creaminess that didn’t make us feel cloying after finishing the whole portion. 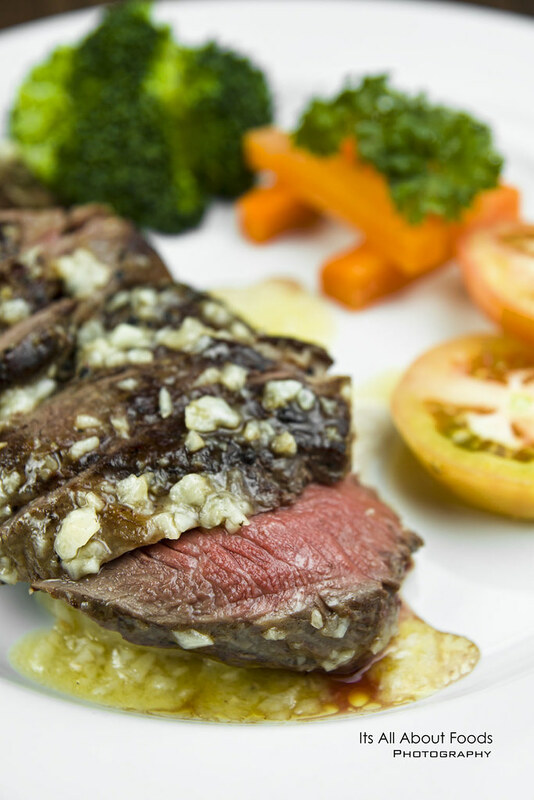 Perfectly grilled, the Aussie beef tenderloin which was done medium rare was very tender, smothered with garlic sauce for better flavours. 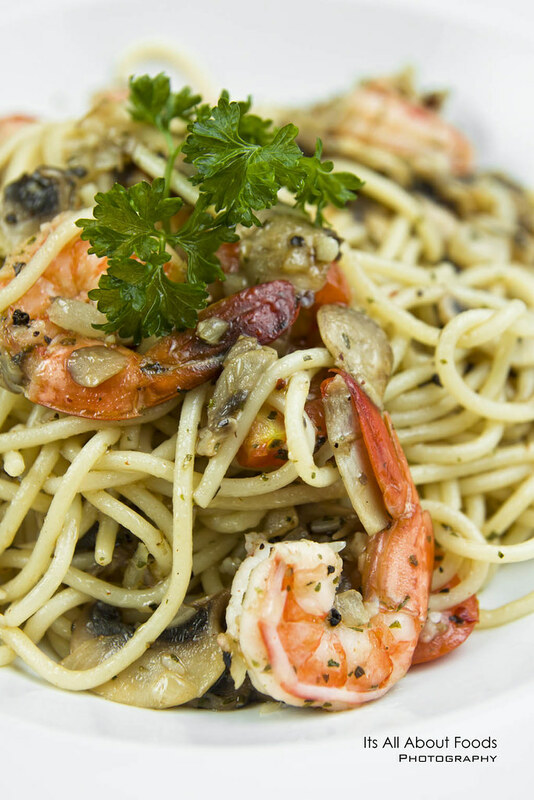 Other than garlic, diners can also opt for mushroom, BBQ and black pepper sauce. Served over with mashed potato and vegetables. Recommended. This dish seemed to be the most ordinary mains on the table that afternoon. 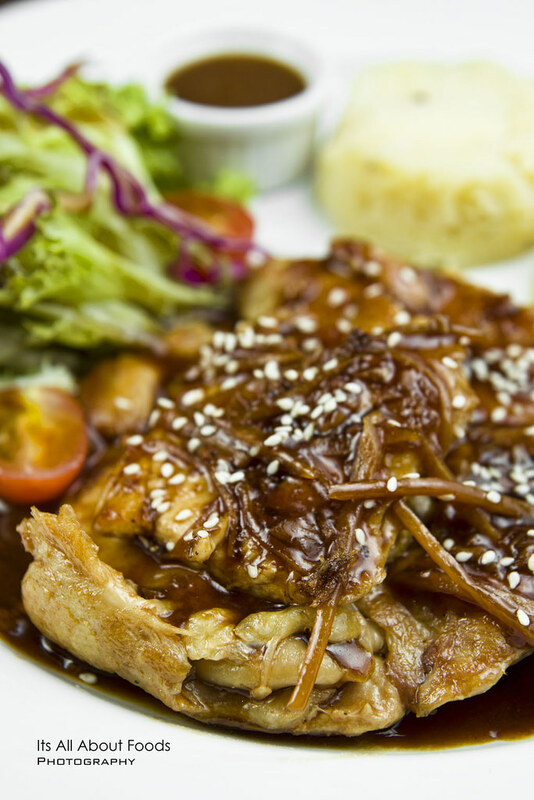 Marinated with Teriyaki sauce and grilled, the chicken looked ordinary, taste tender in texture as usual. But what made it different and special was the sauce- it wasn’t the ordinary Teriyaki sauce. It was thick, creamy – very Chinese way of cooking gravy which we believe having soy sauce and fermented beancurd mingled in. A secret recipe of the chef which was not too convenient to reveal, but tasted pretty good. 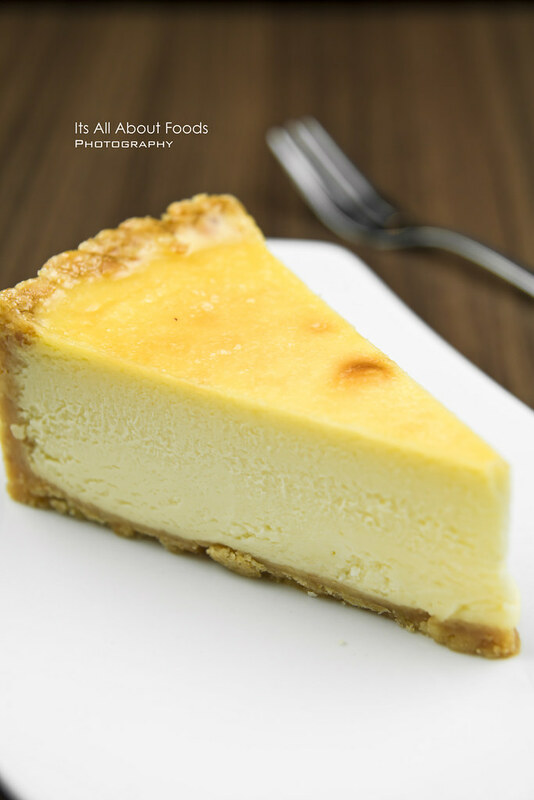 We were so stuffed by the time for dessert, but no regret trying out their dessert, especially the cheese cake that boosts a good balance of creaminess and richness. Thumbs up and deserved crowning as their best seller. 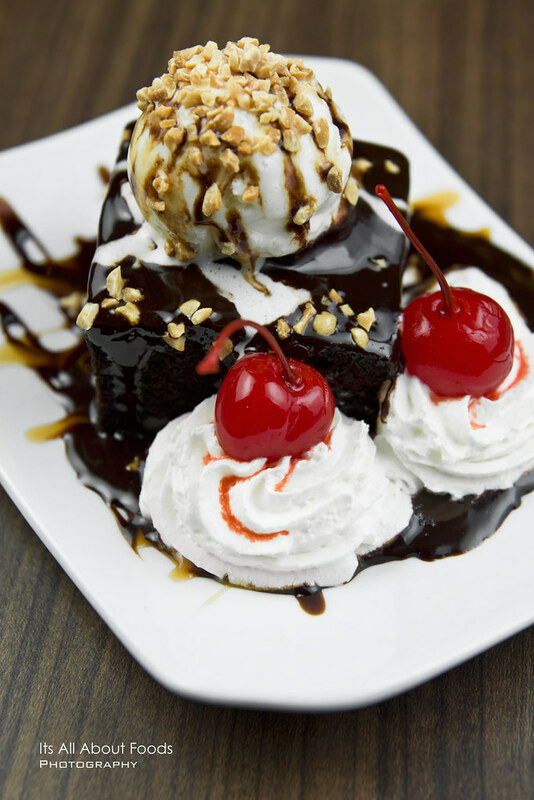 Dense, chocolaty brownies topped over with vanilla gelato, drizzled with chocalate sauce and laced with cream. Sinfully delicious. One of the latest drink on menu. 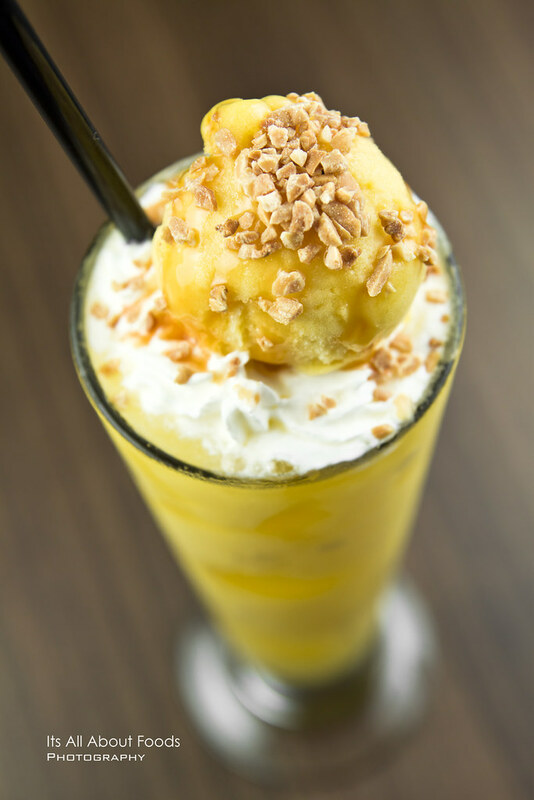 Served in tall glass, the mango and passionfruit smoothies gave a chilling, refreshing flavours. Premium mango ice cream from Gelatomio earned the drink extra marks. Priced at RM7.50, this iced chocolate was worthed every penny you pay. Very thick and chocolaty.# sipped satisfyingly. 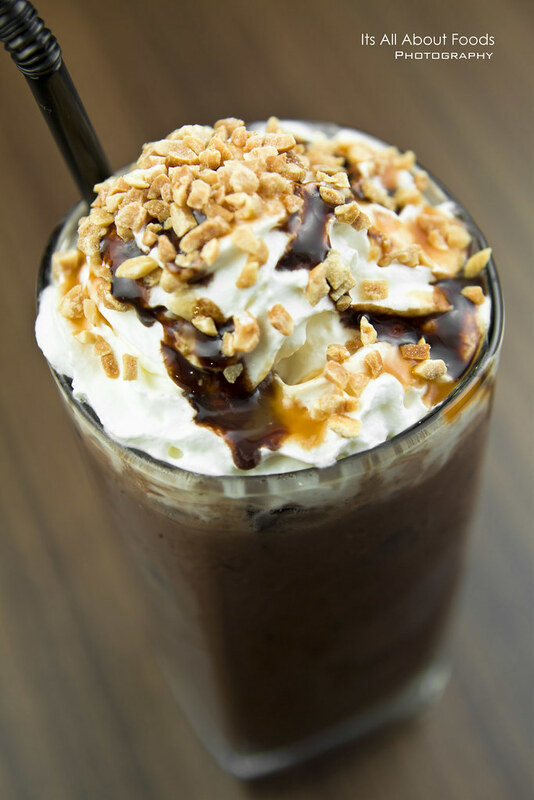 According to the owner, the chocolate drink’s base was a mix of chocolate sauce and chocolate powder, carefully mixed to get the perfect composition and taste. Not to forget, The Journey also served coffee from Five Senses Australia.Other than that, there were also burgers, sandwiches available, which we didn’t try out. Definitely a good place to hang out with friends, thanks to the cozy ambience and reasonably priced food. yes, indeed because of we being in a quiet corner of setiawalk, we are trying to build a base of customers. We have good number of regular customers because of our ambience and good food, still not enough to generate a good crowd because there are basically less than 10% passersby that comes through. 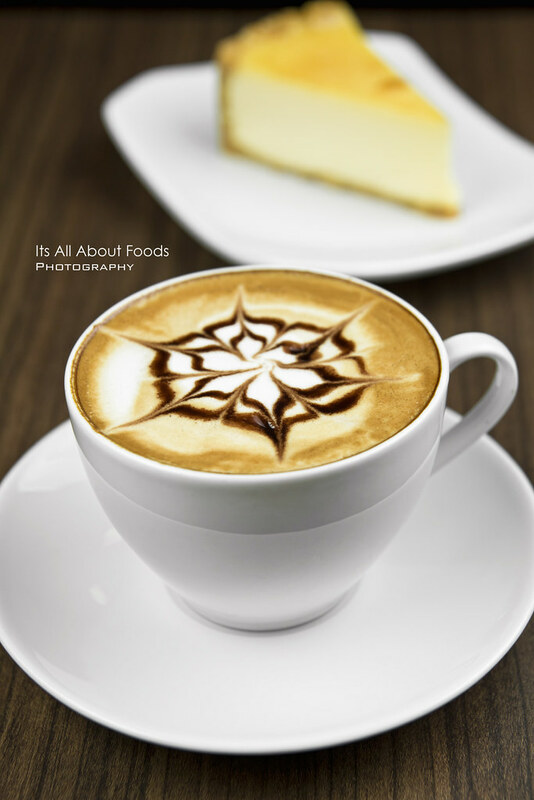 Do come by and try, i assure u its not just another eatery.